Tubey Toys Review: Video and Toy Review: NEW Doll Reveal! Hairdooz Dolls Will Be the Latest Surprise Doll Craze for 2019! Video and Toy Review: NEW Doll Reveal! Hairdooz Dolls Will Be the Latest Surprise Doll Craze for 2019! Hairdooz dolls are taking over! 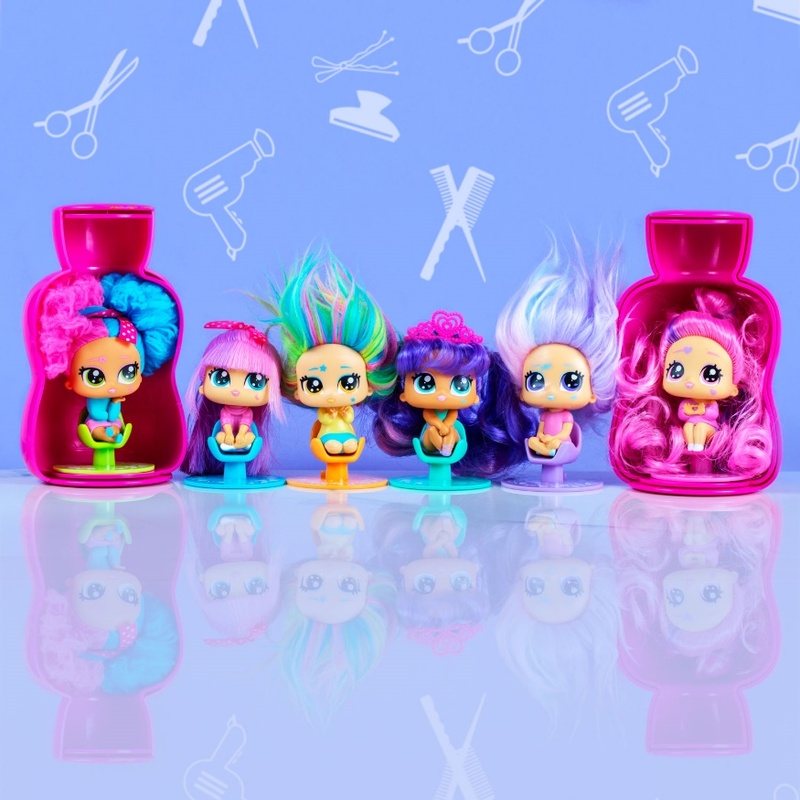 Hairdooz dolls are the next big "thing," so when you see them on the shelves this May 2019, grabd them, because they are going to be hot! Hairdooz are adorable dolls with sass and sweetness! The Hairdooz squad are Pixie, Crystal, Candy, Skye, Lilly, and Sparkle, and each Hairdooz Doo has their own individual style and unique hairstyle - each doll is even depicted by their own unique symbol that is even a twinkle in their eyes! 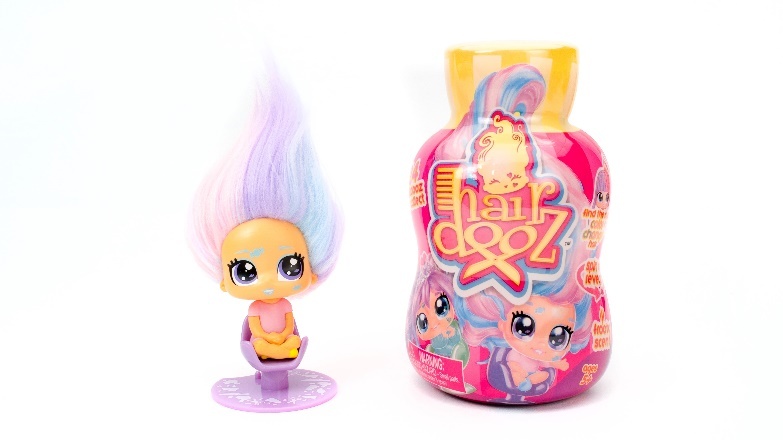 Hairdooz are a blast to unbox, you simply twist the shampoo bottle to reveal your Hairdooz doll, then remove the hair dryer to reveal their hairstyle, and then remove their colorful cape to reveal a unique pose! 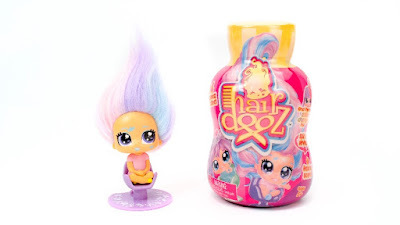 There are 24 Hairdooz dolls to collect in all - 12 Hairdooz dolls for wave one (May 2019), and 12 Hairdooz dolls for wave two (later this year). Each Hairdooz doll has two different hairstyles for wave one, and wave one will be in stores around the world in May 2019 for $12.99. Wave 2 will include the same six girls but with two different hairstyles and poses. In addition to unique hairstyles, they all have a fruity scent - I noted scents of fruit punch, cherry pie, sweet fruit like strawberries, and other sugary notes, which is fine with me! I should also mention that within series one there are two ultra-rare dolls (one for each wave) that have color change hair, which will be fun to find! The Hairdooz mini salon is inside of the surprise bottle, so there is very little to throw away with these surprises toys, which is something I really like! The package is also a play-set, and you can store your Hairdooz inside for later play. 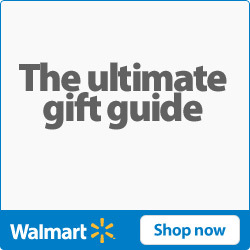 You also get a suction cup to stick your Hairdooz doll to a mirror, window, or table for easy styling. They also have their hair salon chair that acts as a stand. I would love to see some stickers to decorate the mini salon for wave two, and some added accessories like hair barrettes, combs or brushes, and some other hair salon items, which will make the $12.99 price tag even easier to justify. However, I think the price is right as you get lots of play options - it just needs that extra oomph! Otherwise, I truly find Hairdooz dolls to be adorable, engaging, and really just a lot of fun and will definitely be a hot surprise toy item. May 2019 is right around the corner, so stay tuned to our blog and YouTube channel to learn about where they will be sold. For now, check out the checklist below. Thank you so much Headstart Toys for sending us all of our new friends!! Headstart Toys also makes Baby Secrets, BFF, Ooshies, and Micro Wheels! Be sure to follow Hairdooz on instagram @HairdoozHQ, Facebook, and on YouTube to learn the latest Hairdooz Nooz!